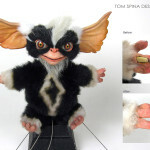 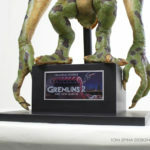 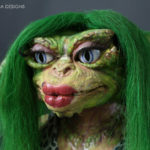 Restoration and display of a screen used Gremlins 2 prop puppet. 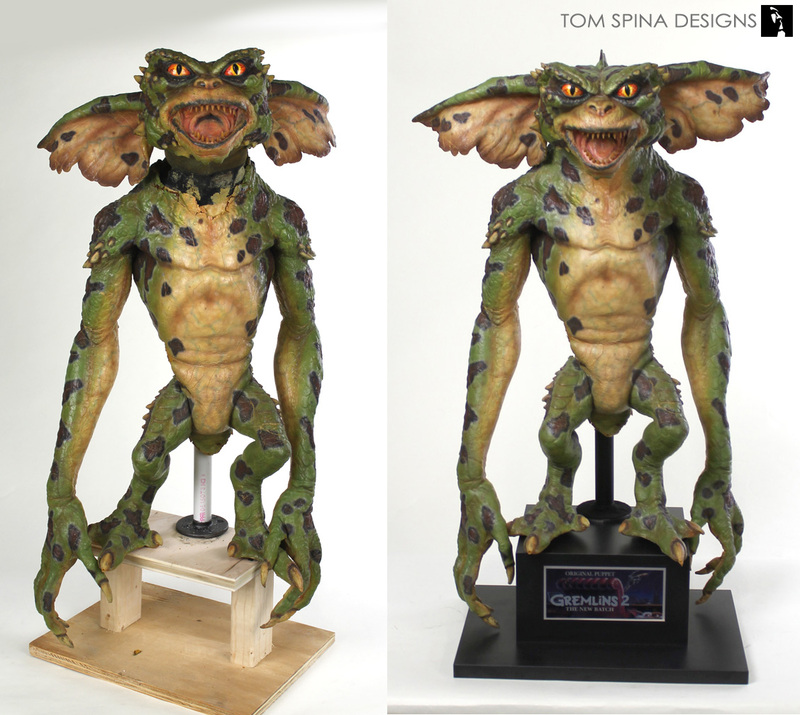 Before his restoration this Gremlins 2 prop puppet was exhibiting the same issues as many of the other Gremlins we have repaired. 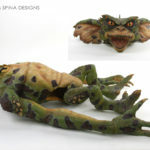 Stored on a single post that went all the way through the body and into the head, over time pressure caused the neck to crack and eventually split. 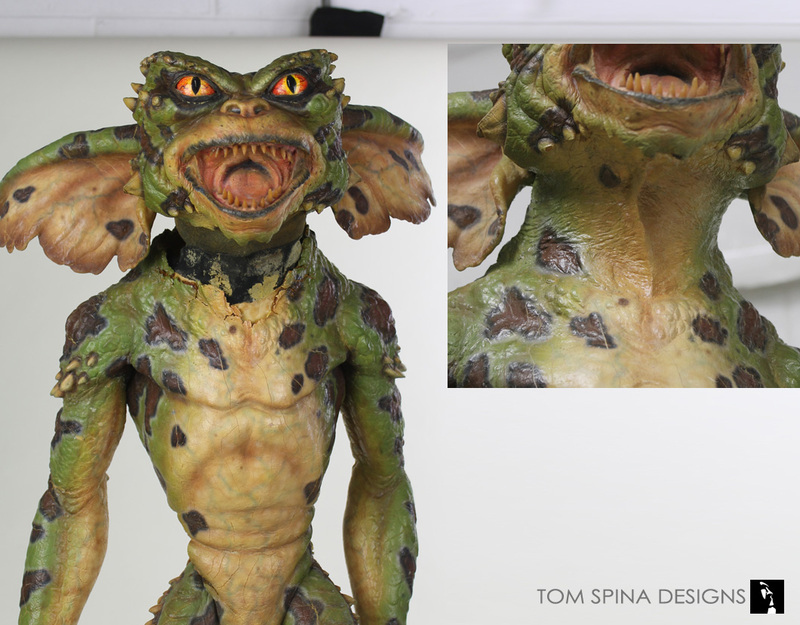 For the most part this Gremlin was in fairly good condition other than the split in his neck, so that’s where we focused our efforts. 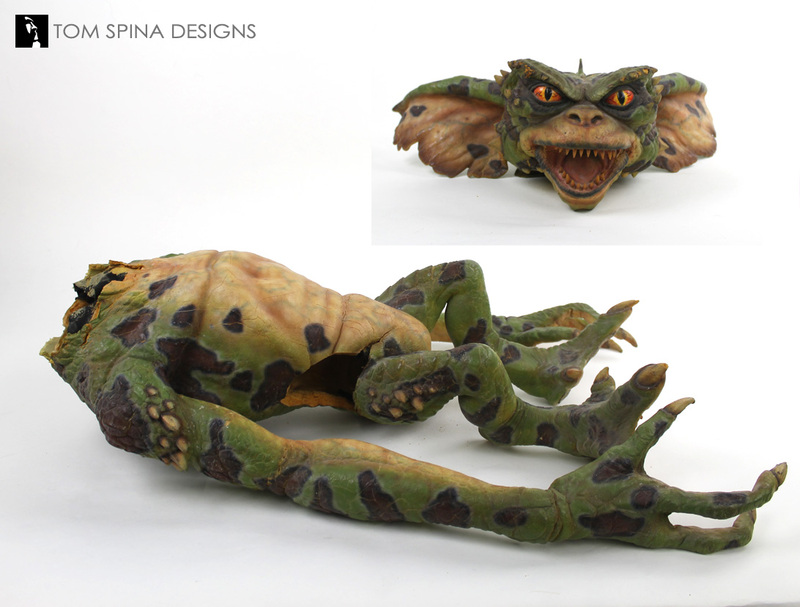 We also created a custom body support to help ensure the valuable prop puppet’s head wouldn’t separate from the body again. 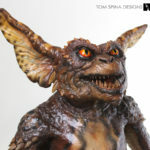 Lead restoration artist for this project Megan Oliveri, carefully patched the areas of missing material using build up techniques and archival materials. 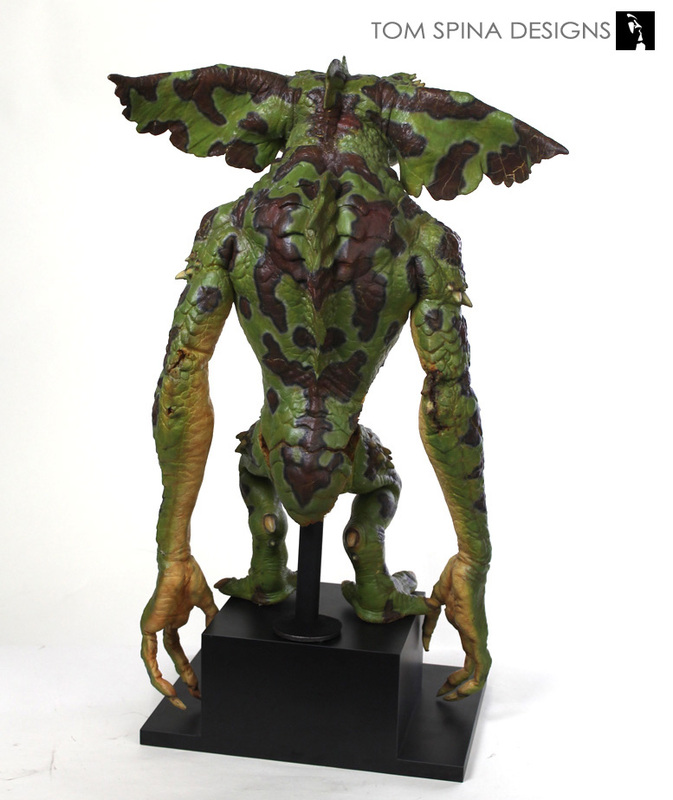 The restored areas are then painted to match the surrounding the material. 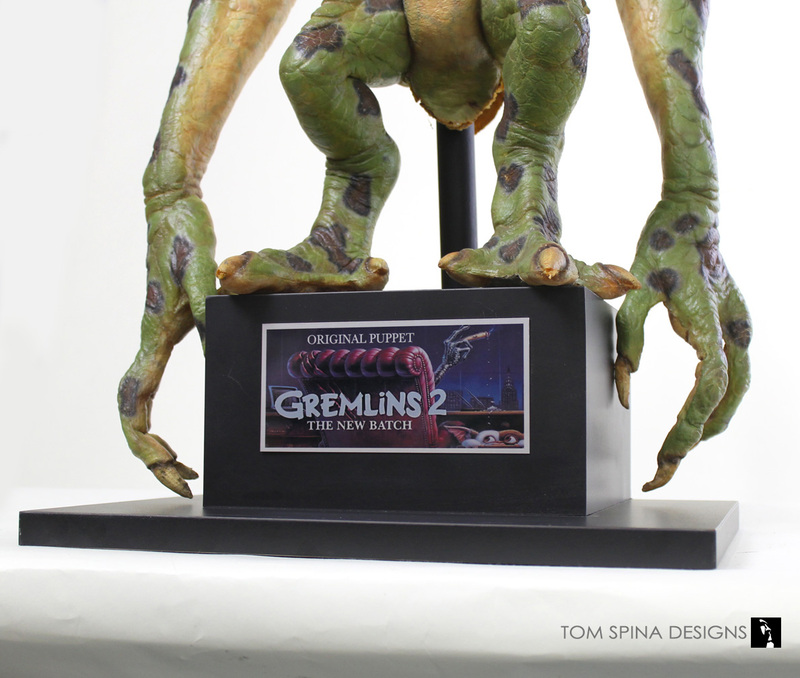 We are always careful to paint only the repairs, and to be sure our colors go on matching the age of the prop, so that the work blends seamlessly with the rest of the movie prop. 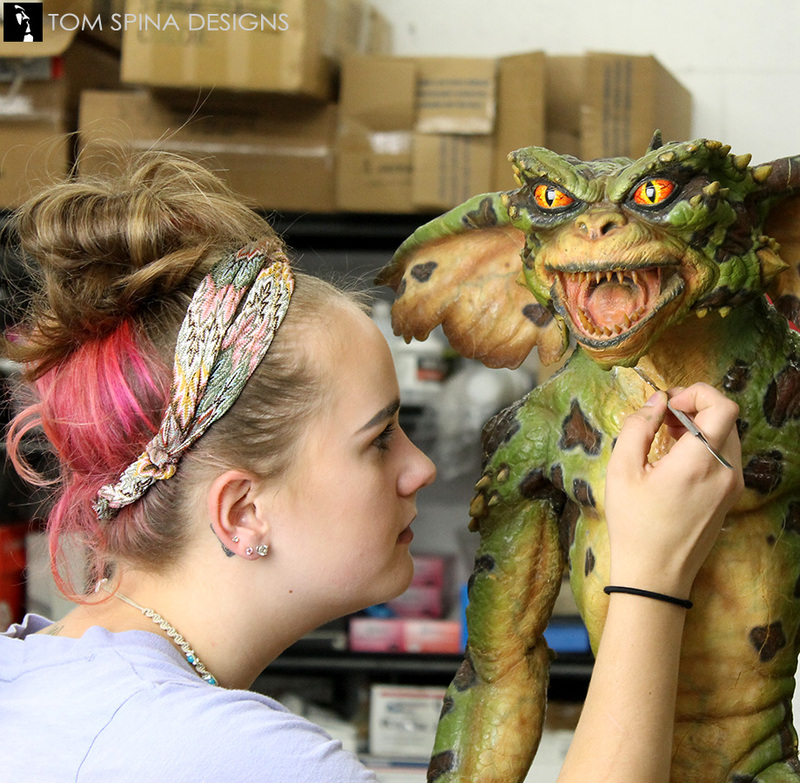 Once the paint work was finished we sealed the entire piece to help conserve and strengthen the foam, helping this prop to endure one of its biggest enemies… time! 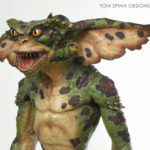 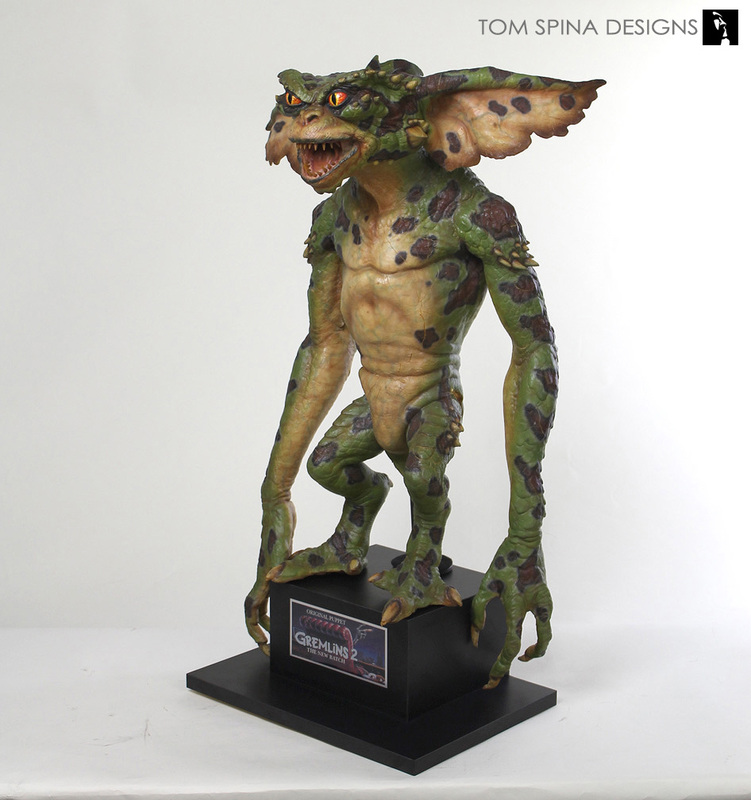 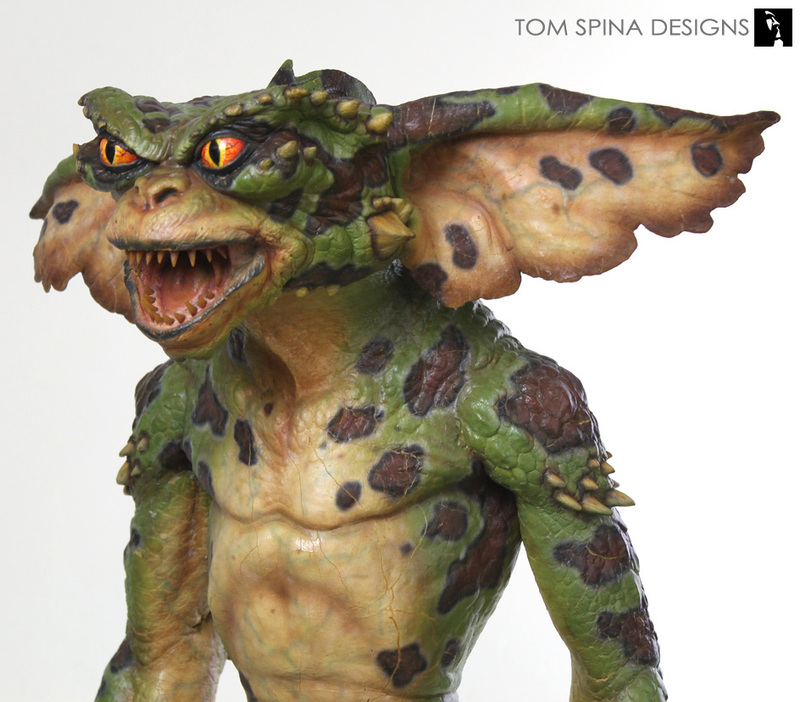 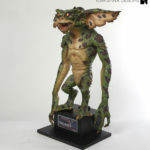 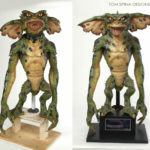 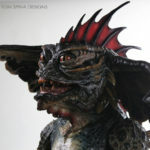 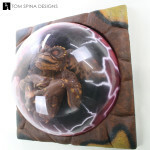 If you’re a Gremlins movie or prop fan, be sure to see some of our other work preserving props and puppets from the original movie and its sequel!